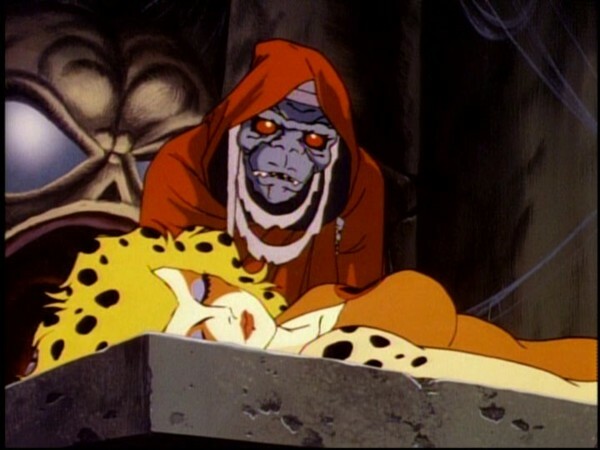 MUMM-RA transforms himself into a PUMA (PUMM-RA) and stages a fake heroic deed (saving CHEETARA from the MUTANTS) in order to convince the THUNDERCATS that he is one of them, from their home planet of ThunDERa. 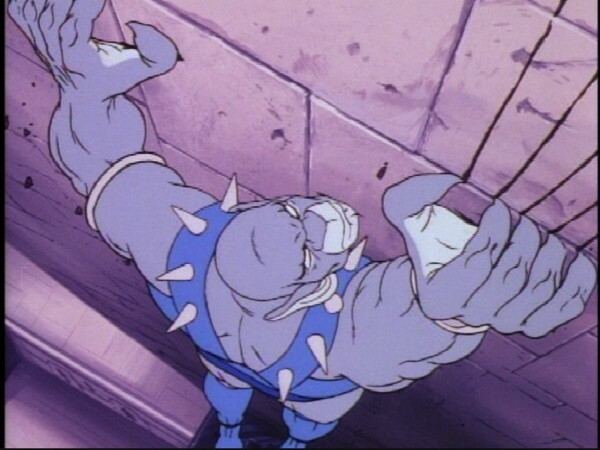 He is accepted and almost succeeds in his evil plan to capture the Cats’ Lair, but his energy force deserts him and he turns back to MUMM-RA before the eyes of the THUNDERCATS. 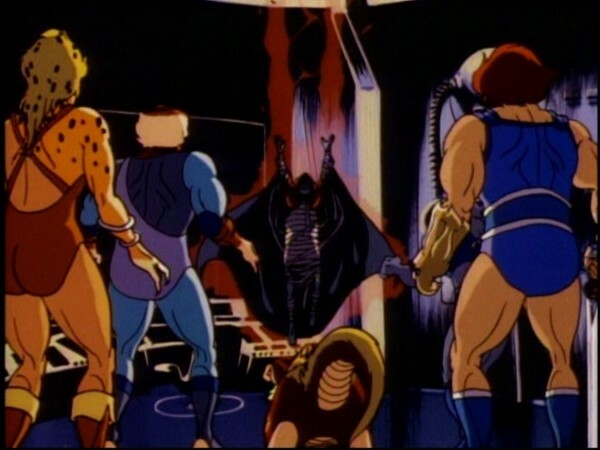 In this episode the ThunderCats realize that trust must be earned, since first appearances may be deceiving. Learn to judge people by central characteristics and not superficially. Another lesson involves responses to problems. When faced with a problem with an uncertain resolution, it is best not to act impulsively on instincts or to use physical strength alone. Reason and ingenuity are often called for, and they can generate the best means of reaching a goal. When faced with interpersonal problems, the ability to defer acting and to engage in the processes of thinking about the situation is important in children. Some significant thinking skills are the capacity to generate alternative solutions to the problem, the capacity to consider the consequences of social acts, and the ability to articulate step-by-step means to reach a particular solution. These skills have been shown to be mediators of social adjustment in children. Training in exercising these cognitive skills will enhance children’s social adjustment (Spivack, Platt, & Shure, 1976). SPIVACK, G., Platt, J. J., & Shure, M. B. (1976). The Problem-Solving Approach to Adjustment. San Francisco: Jossey-Bass. Imagine yourself as one of the last of your kind, stranded on a new and potentially hostile planet. Imagine yourself as part of a group of just seven individuals, alone in the universe, the rest of your millions-strong race thought dead, firstly by the destruction of your home planet and then by the ruthless attack of your sworn enemies. Then imagine that you chance upon one other survivor of your home planet, someone you meet by chance and who rescues one of your own from capture at the hands of your aforementioned enemies. How do you react? Do you believe your good fortune, or react with suspicion? These are the emotions at play when Mumm-Ra hatches a sinister plot to infiltrate the ThunderCats from within! This episode is packed full of all of the things that mark ThunderCats out as one of the best animated series of all time—an engaging, character-driven plot, beautiful animation, and exciting, fast-moving action sequences! The central plot of this episode shows a great maturity of storytelling, with Mumm-Ra devising a plan that will strike the ThunderCats at their weakest point, their sense of homesickness and potential isolation. 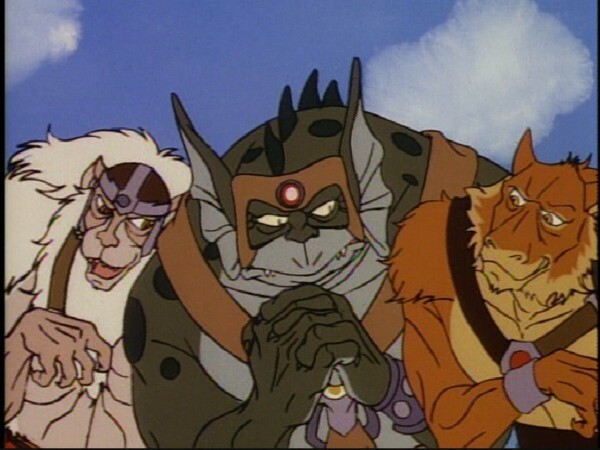 Remember that this episode takes place before the ThunderCats have befriended many of Third Earth’s people, and so apart from the Ro-Bear Berbils our feline heroes have only themselves to rely upon. Mumm-Ra pitches his scheme straight at the most emotional of the ThunderCats, Cheetara, and his clever manipulation pays dividends when Lion-O immediately wants to take the stranger Pumm-Ra into their ranks. This sets up some great character writing, as each ThunderCat reacts in a different way. The young Lord Lion-O, arguably the ThunderCat who misses Thundera the most, wishes to believe the puma’s good intentions, whilst Snarf reacts with instant suspicion. Tygra proves why Jaga appointed him head of the ThunderCats’ Council, with his calm, levelheaded and pragmatic approach to the issue, and in so doing also shows hidden leadership qualities. 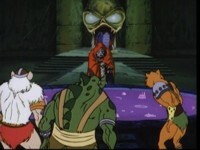 Although the name “Pumm-Ra” might seem a rather obvious alias for the devil priest Mumm-Ra, at this stage the only ThunderCat to have encountered him face-to-face was Lion-O, and whilst one would have expected the similarity between the two names to arouse his suspicion, it could be argued that this is further indication of how much Lion-O wanted to believe in the mysterious Thunderian stranger. The character design of Pumm-Ra is also cleverly done, with him able to veer suddenly from looking gentle and benevolent to looking threatening and evil. An interesting speech from Mumm-Ra is when he accuses the ThunderCats of intruding on his planet and disturbing his rest. 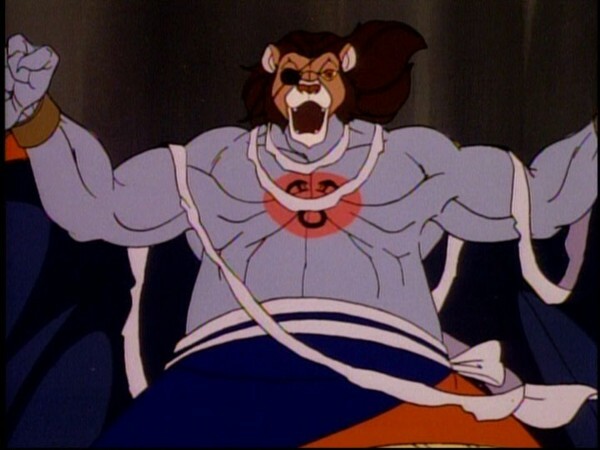 Given that his motive throughout all of his encounters with the ThunderCats was to possess the Eye of Thundera, one wonders whether Mumm-Ra genuinely did regard the ThunderCats as interlopers or whether he was simply making a fanciful exit speech! 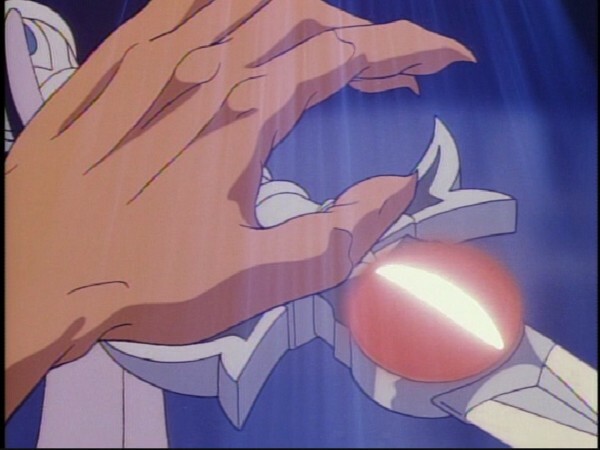 This episode is also a great showcase for the ThunderCats’ iconic weapon, the Sword of Omens. When Mumm-Ra attempts to use the Sword for evil, the heavens roar with anger and lightning lances down from the sky, striking Mumm-Ra and forcing him to release the Sword. This level of awesome power is highly impressive, and shows what a powerful weapon for good the Sword of Omens actually is. 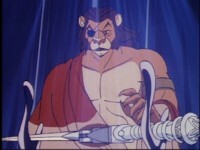 Over the course of the series, great efforts were made to show the Eye of Thundera almost as a conscious, living entity—whilst the most frequent and obvious showcase of this was always the Sword’s warning growl whenever a ThunderCat was in trouble, the Sword’s display of angry power in this episode is one of the most fearsome examples we are shown of the Eye’s consciousness. 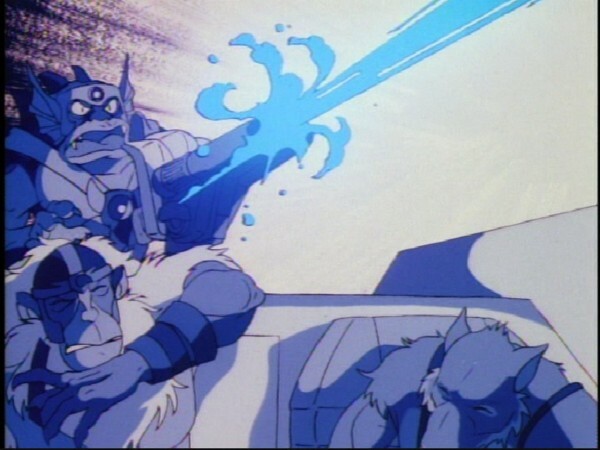 “Pumm-Ra” has long been one of my very favourite ThunderCats episodes—the storyline is brilliant and engaging almost from the first moment. Visually the episode is very strong and memorable, as befits the first episode where all the ThunderCats (as opposed to just Lion-O) first encounter the ever-present evil of Mumm-Ra. For me, this is a near-faultless episode, and one I would regard as essential viewing for any ThunderCats fan! This is the first episode since “The Unholy Alliance” to show the Mutants and Mumm-Ra working together. The lack of trust between the two parties is actually something that is touched upon several times in this episode. This episode features a rare variation on Mumm-Ra’s transforming incantation. Instead of his usual “Ancient Spirits of Evil, transform this decayed form to Mumm-Ra the Ever-Living!”, in this episode Mumm-Ra’s chant goes “Spirits of Evil, transform this ancient body to Mumm-Ra the Ever-Living!” The dialogue for this transformation was obviously recorded afresh, and it’s possible that this exists because of Mumm-Ra’s next command, to be transformed from Mumm-Ra the Ever-Living into his guise of Pumm-Ra. In this episode, Pumm-Ra reacts with surprise that the Sword of Omens is much smaller than when he last saw it. 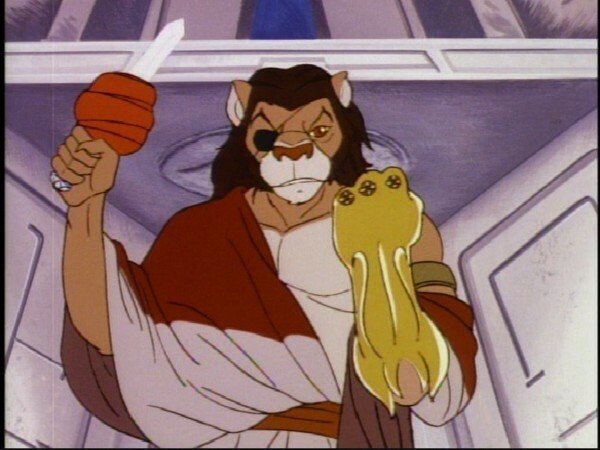 Technically this is a continuity error, as Mumm-Ra had seen the Sword of Omens in its smaller state at least once before, when he battled Lion-O in “The Unholy Alliance”! 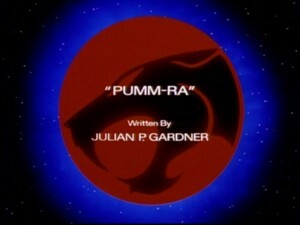 “Pumm-Ra” is the only script that Julian P. Gardner (aka Jules Bass) penned without a credited co-writer.